We all want to be happy. But how do we obtain happiness? What is it? Does it change? If so... how? If it's always changing, how do we keep it? The Evolution of Happiness explores these questions and reveals not only how happiness can be found, but how our definition of happiness changes over time. Over the course of many years and countless hours of study, Dr. Ashkan Farhadi has identified patterns, principles and techniques to help people from all walks of life define, pursue and attain true happiness. Regardless of which stage of life you are currently in, The Evolution of Happiness will help you elevate your life, find a deeper sense of purpose and tap into what true happiness means for you. As we grow our happiness evolves on several levels. On the level of experiential happiness, we evolve from seeking pleasure to chasing enjoyment and finally to pursuing gratification. However, we can further evolve our happiness from moment-to-moment experiences into a state of happiness. During this advancement, our happiness evolves from an effortless, instinctive, and experiential form into a planned, learned, and conceptual form of happiness. I promise to show you how to be "simply happier". In this journey, we analyze happiness to explore its anatomy. 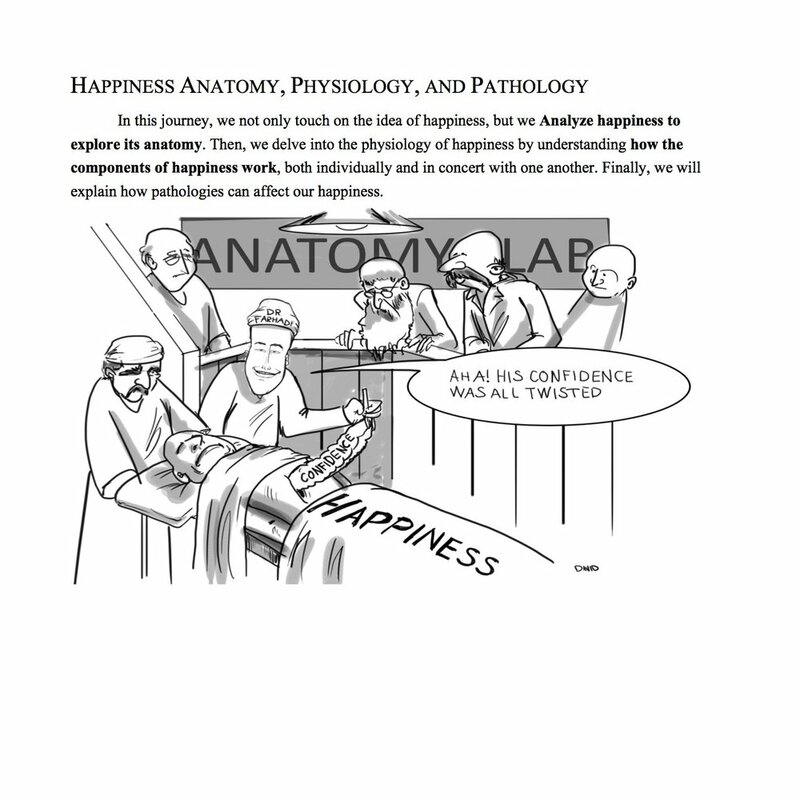 Then we delve into the physiology of happiness by understanding how the pieces of happiness work, both individually and in concert with one another. Finally, we will explain how pathologies can affect our happiness. This is how each of us can become a Dr. H (a Doctor of Happiness). Begin your journey toward happiness and get a look inside the book. 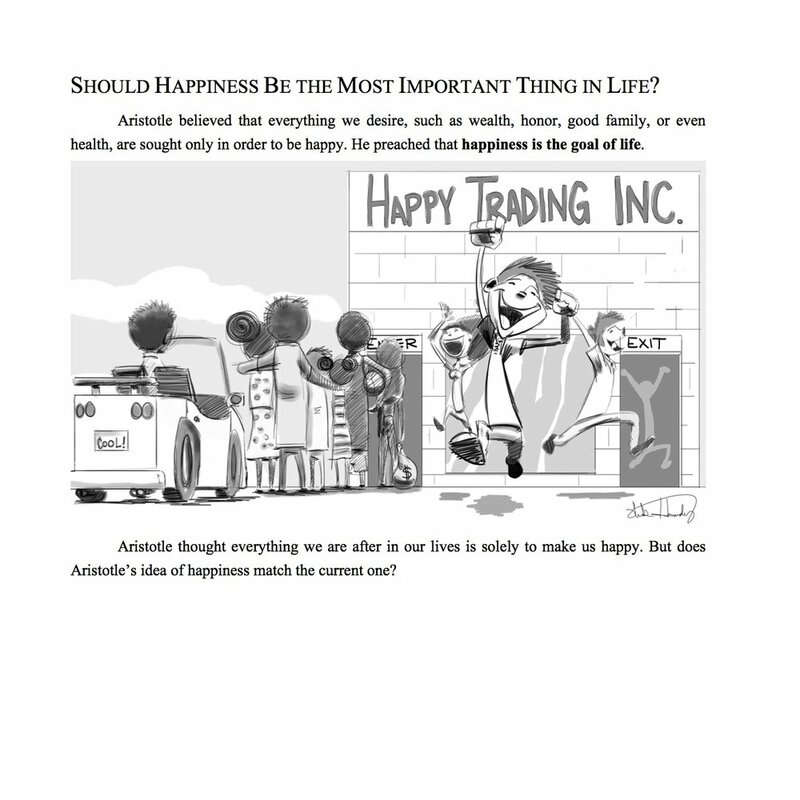 Get 2 free chapters which focus on happiness and how to find it for yourself. Keep up to date on the latest news, appearances and other exciting media coverage with The Evolution of Happiness and Dr. Ashkan Farhadi. Ready to become the master of your happiness? Buy The Evolution of Happiness today and begin your evolution to a better life. You'll be glad you did.